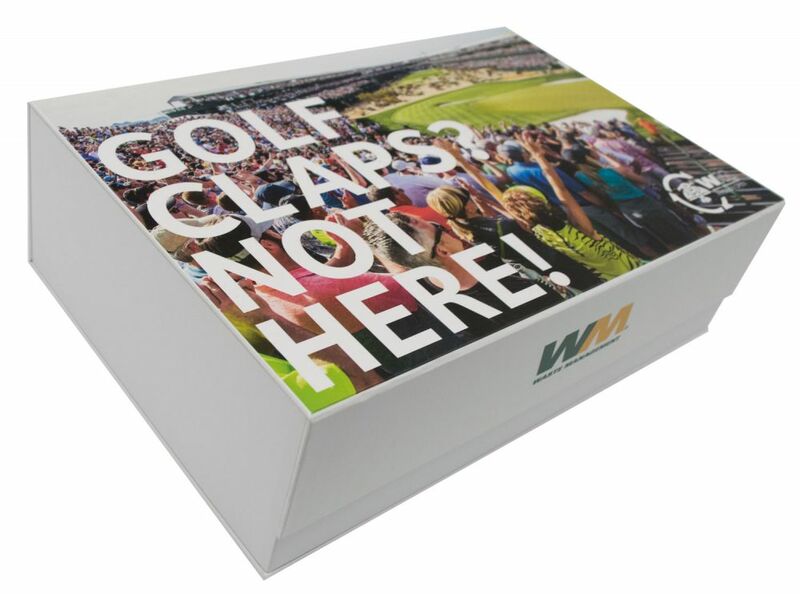 It was time for the Phoenix Open, and one of its major sponsors, Waste Management, wanted to send senior executives and other high-profile golf fans a high-impact invitation to the event. Who doesn’t love high-quality free merchandise that you can actually use? Make that three freebies and a pass to the Phoenix Open! Americhip developed a custom turned-edge video presentation box with hinged lid and magnetic flap. Recipients open the lid to find three branded golf balls, a divot tool and their personalized tournament pass. The golf fans were then also treated to brilliant high quality clips of exciting moments in professional golf displayed on our 7” Video Screen. Partner with Americhip to create elegant packaging combined with branded merchandise to create buzz and excitement for your next event.